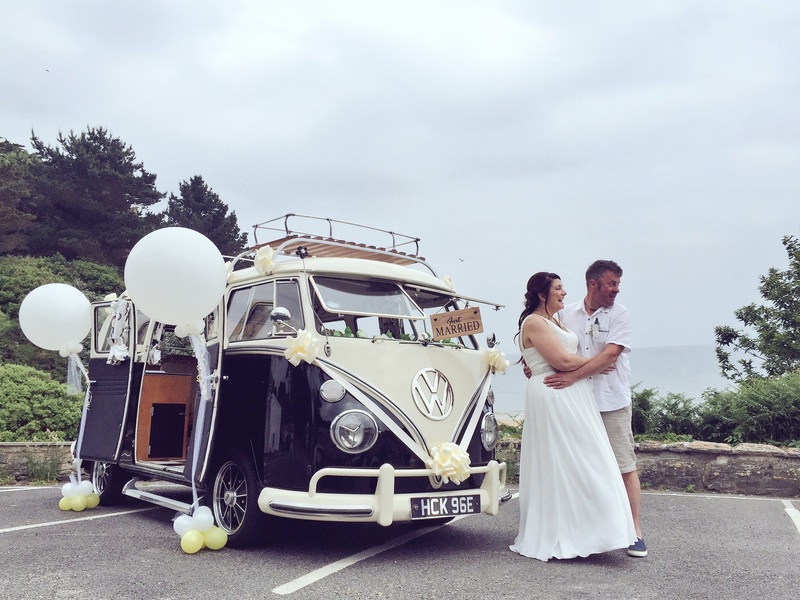 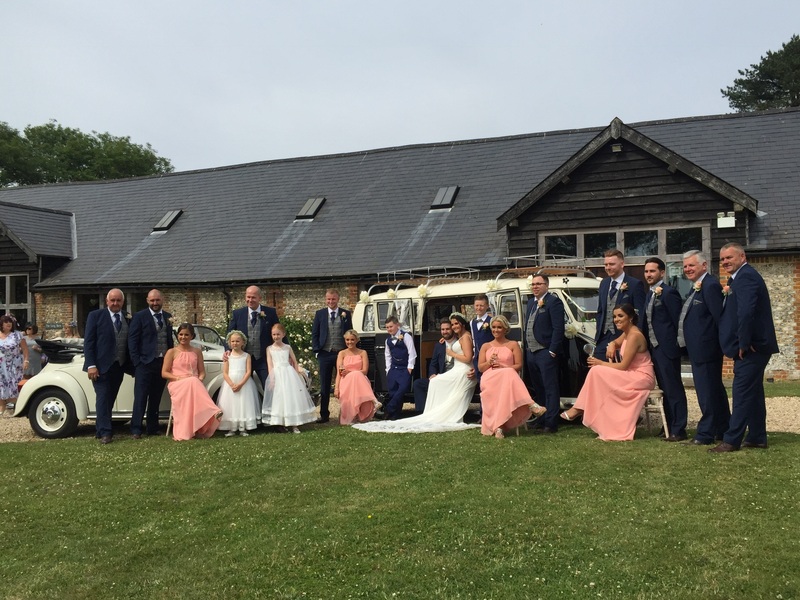 I’m hoping by the time of our first 2019 wedding in March our blog of all our 2018 weddings will be up to date….😂 This year I must remember to update after each wedding! 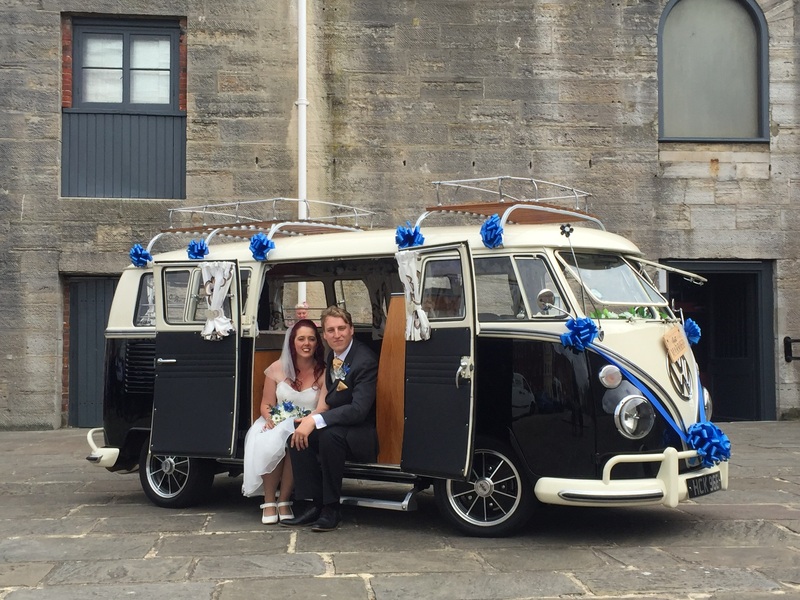 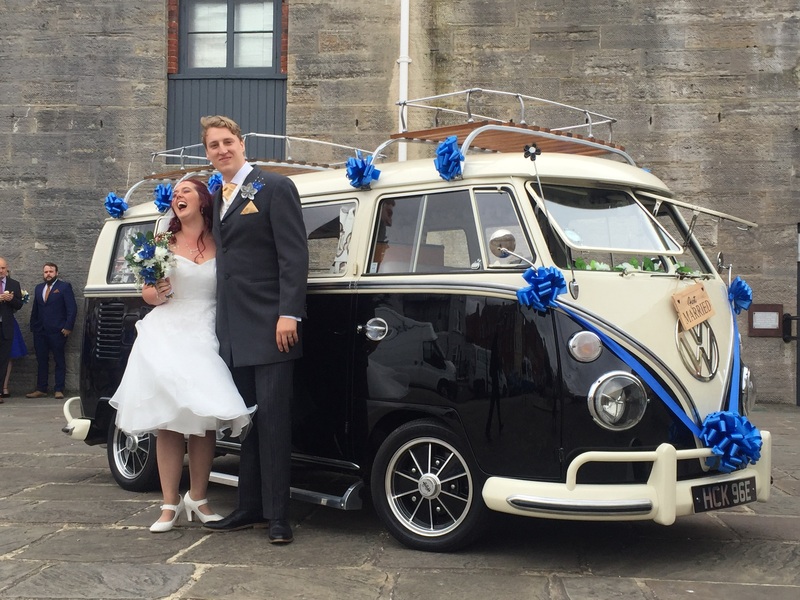 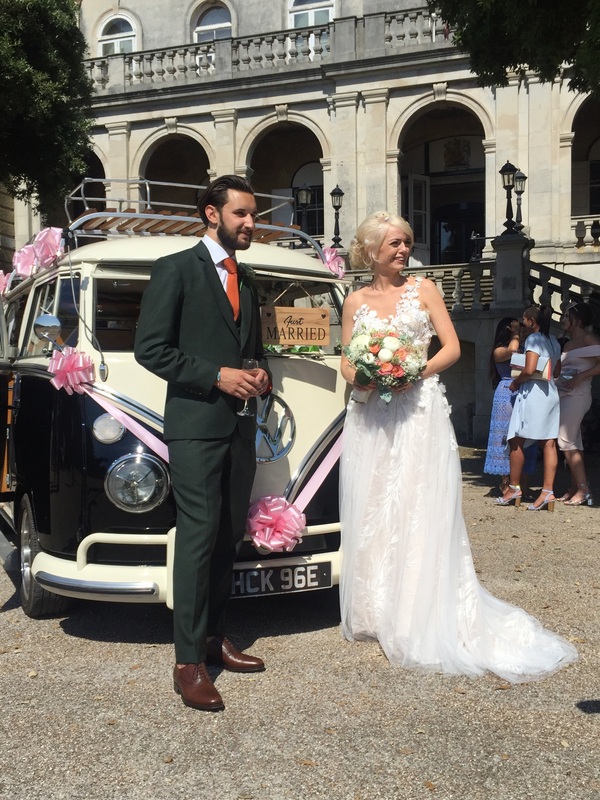 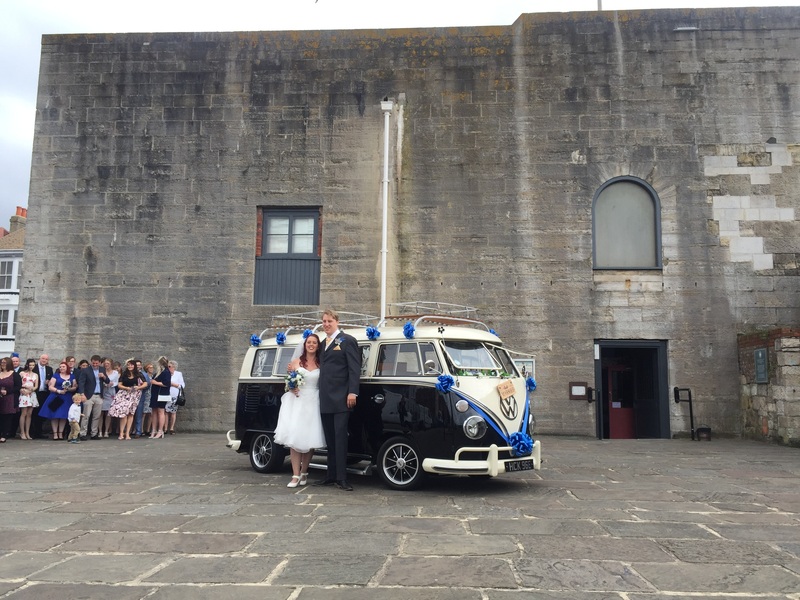 For this update we take you back to June last year and the wedding of Jessica and Ashley on a glorious Summers day at The Royal Marines Museum in Southsea, Portsmouth. 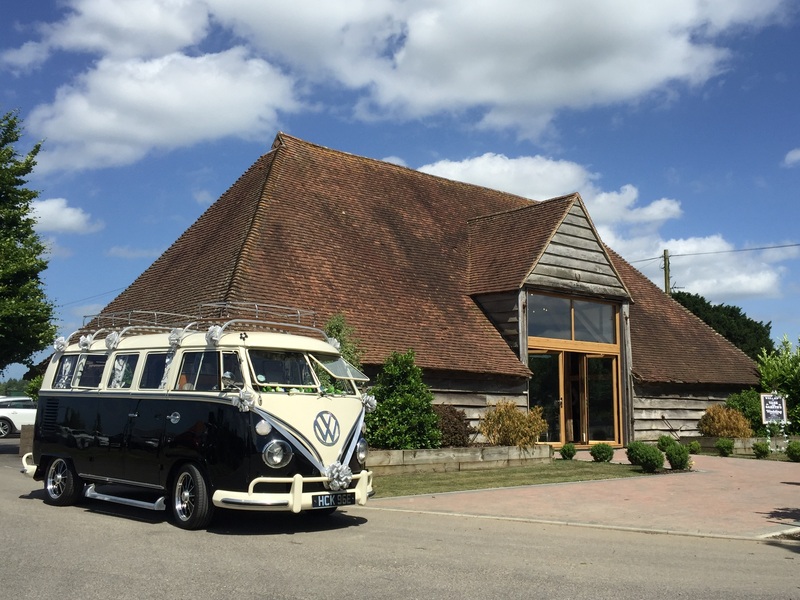 Sadly this is a venue that has now closed its doors I think and we will miss visiting there. 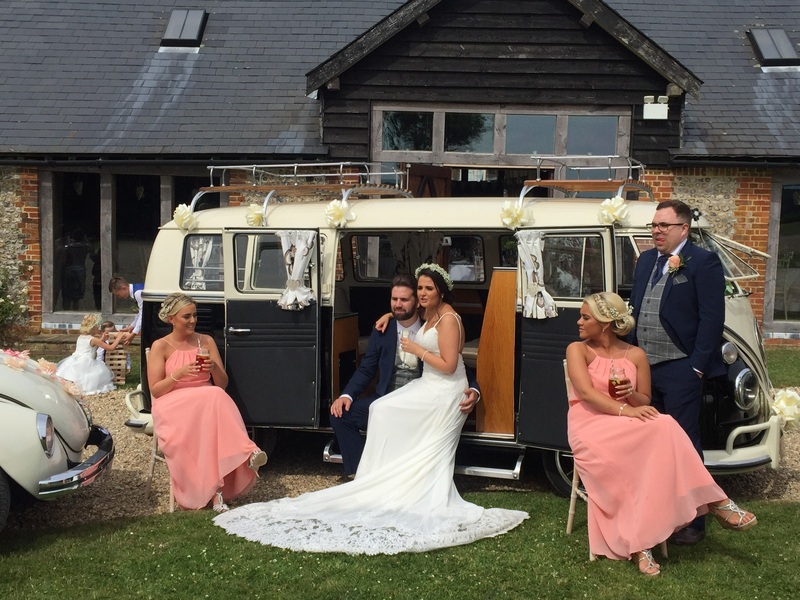 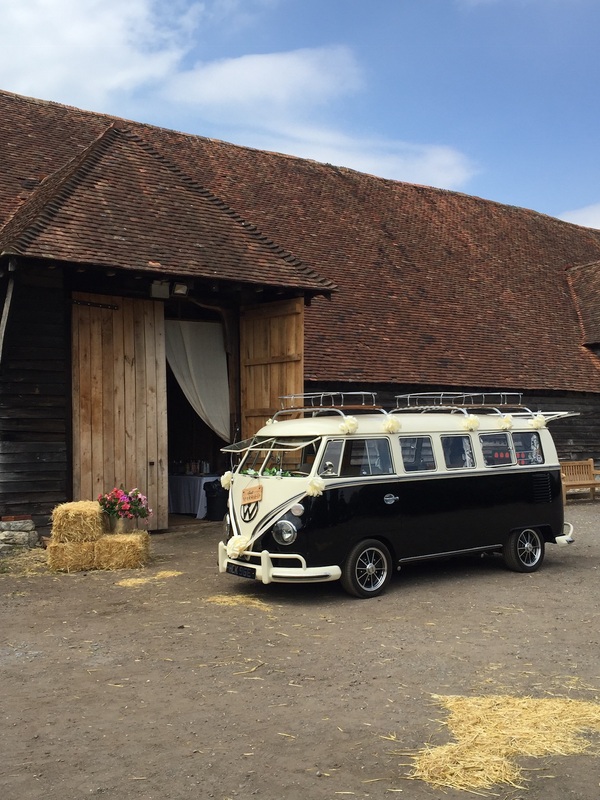 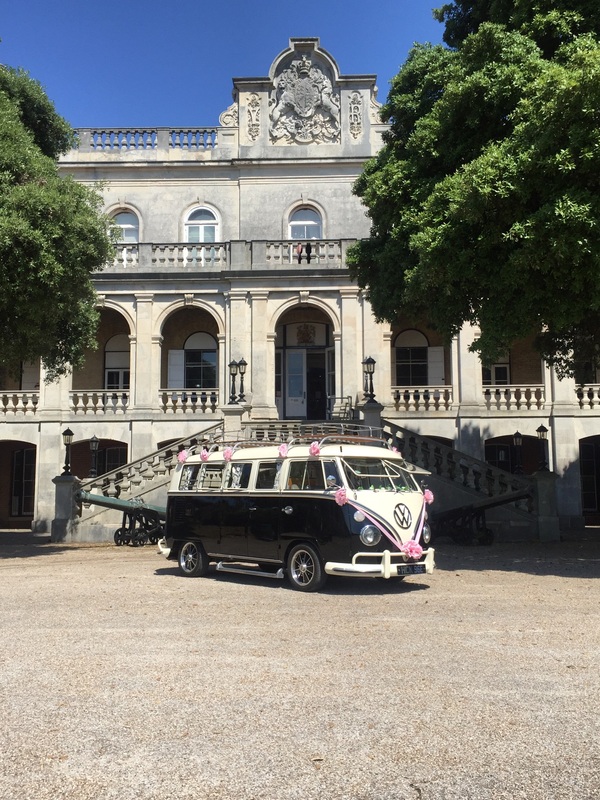 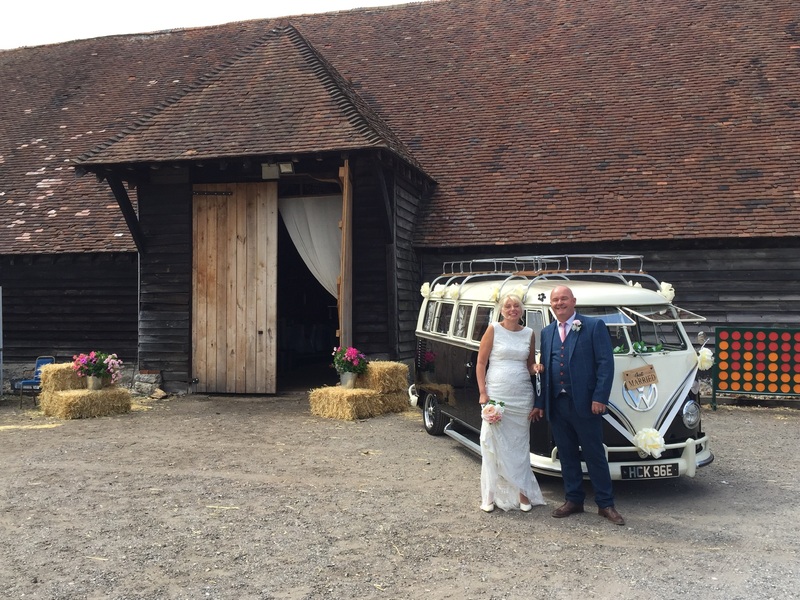 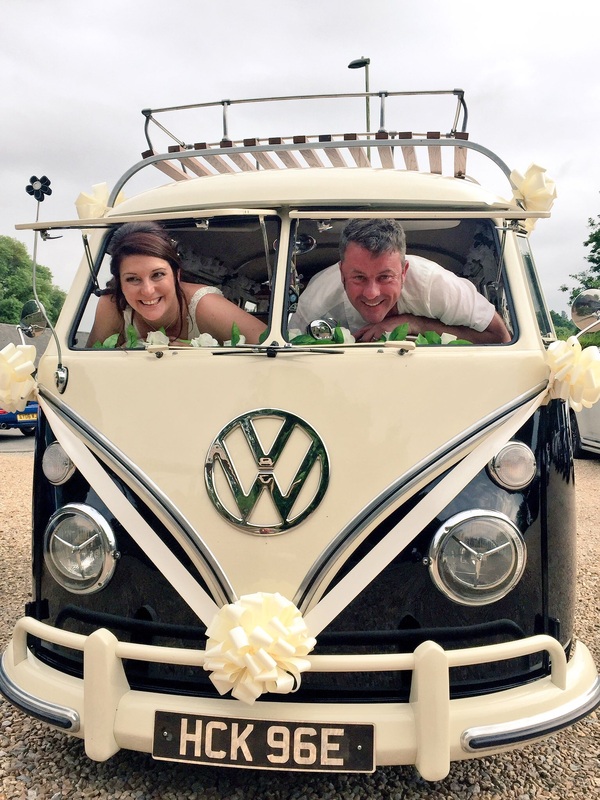 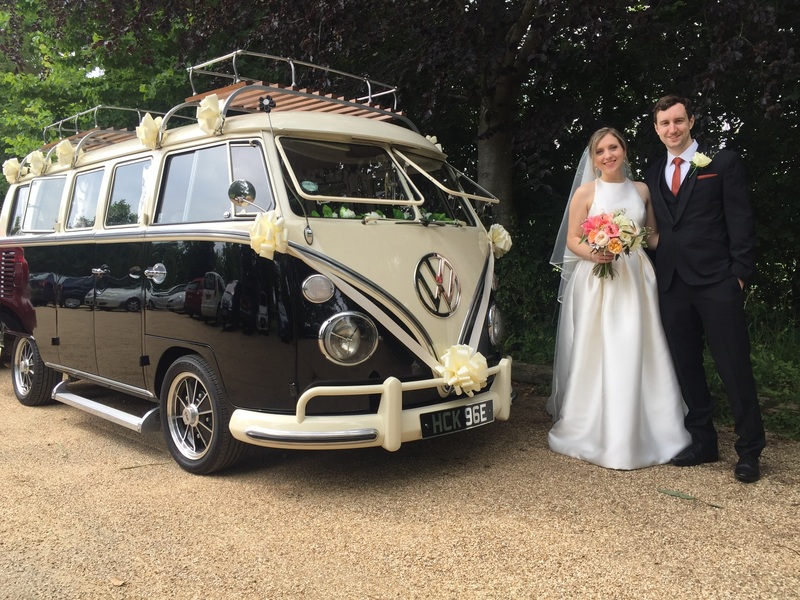 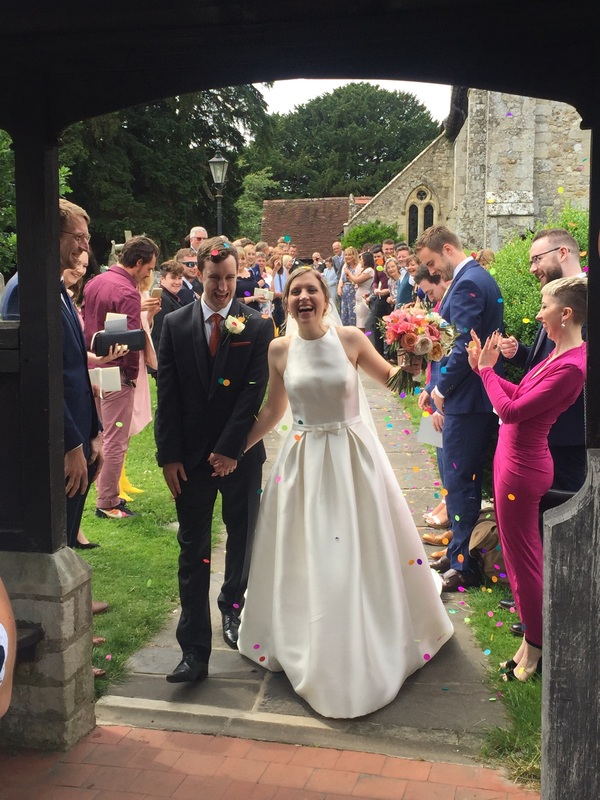 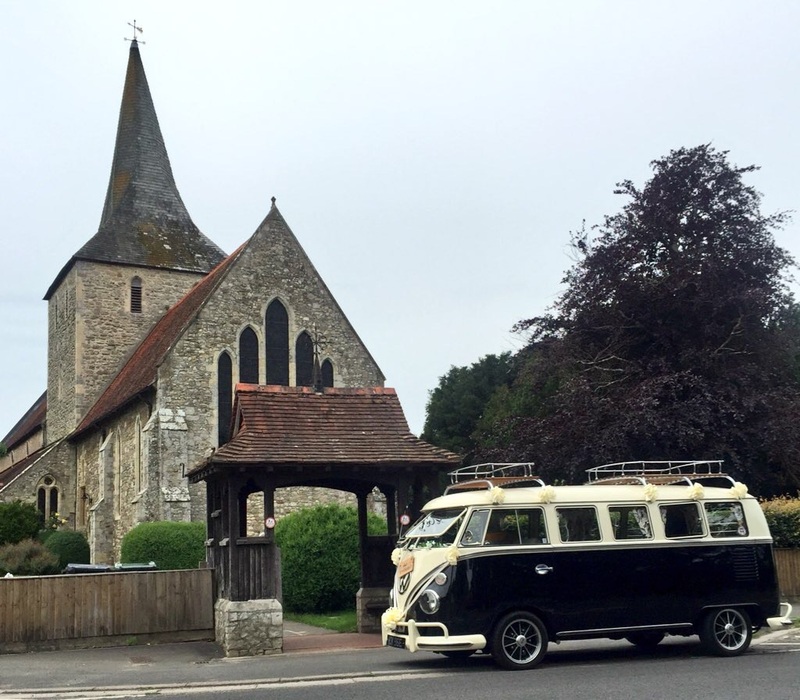 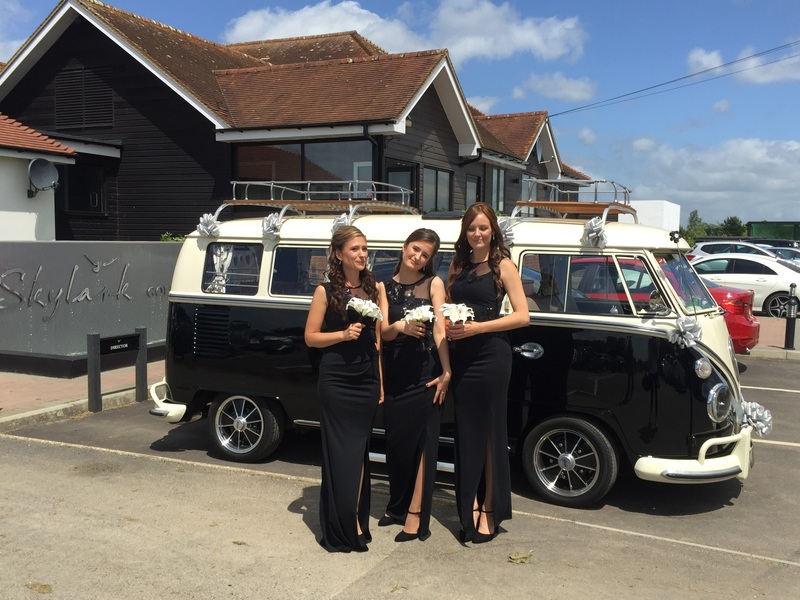 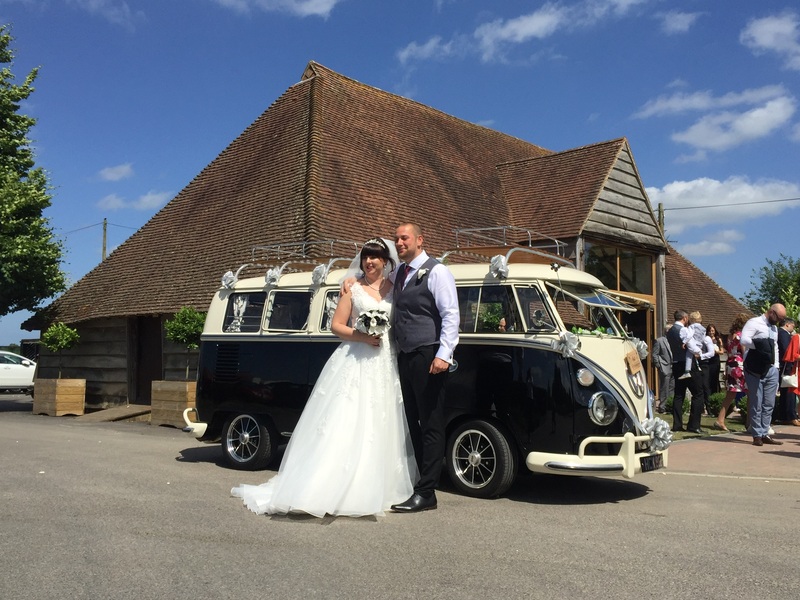 This was the weekend Storm Hector was making headlines, but with no sign of him here on the south coast our very own Hector was back out on duty with a wedding at Skylark Golf and Country Club, in their Barn they have on the grounds. 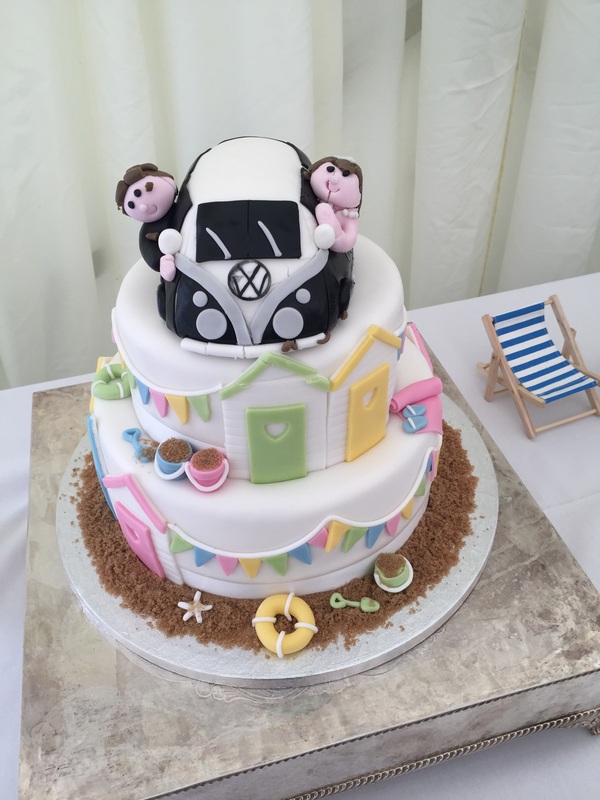 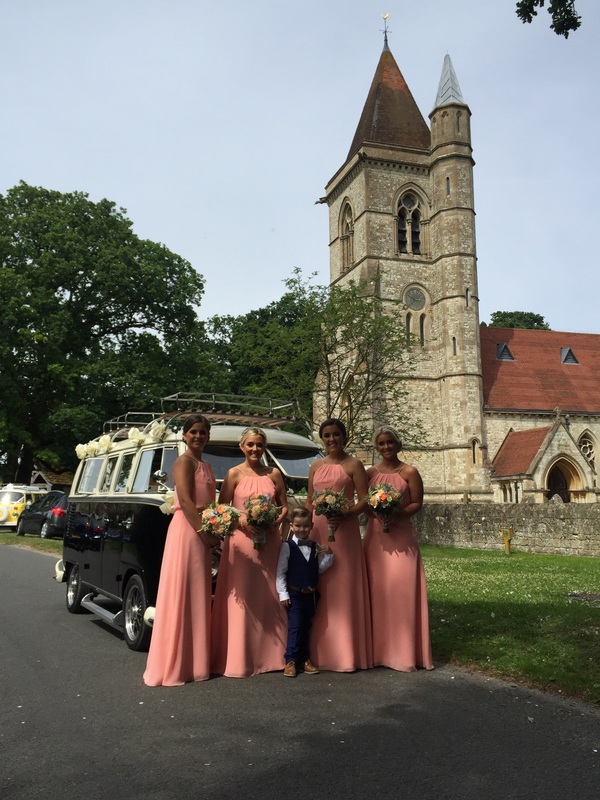 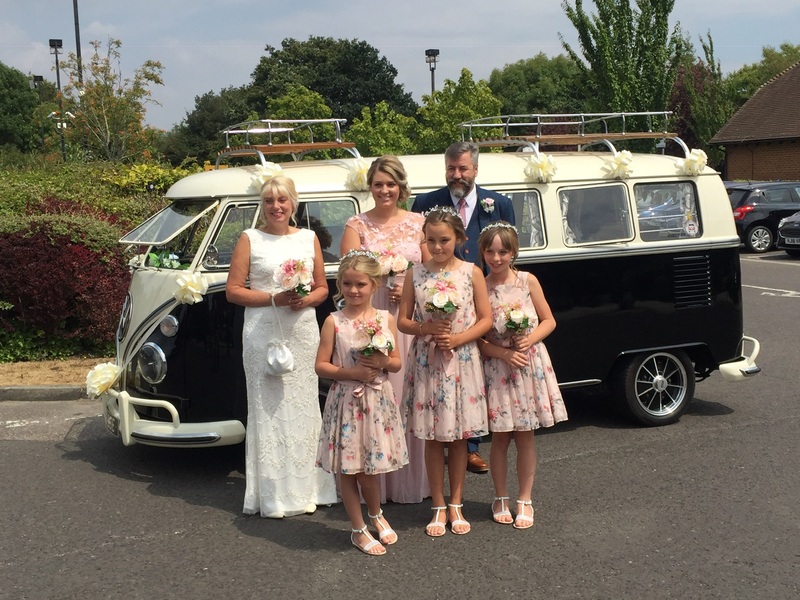 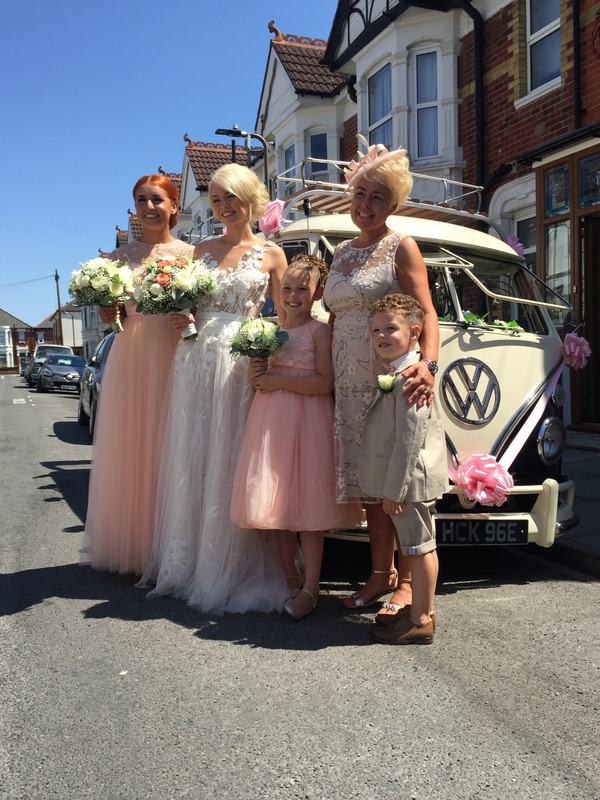 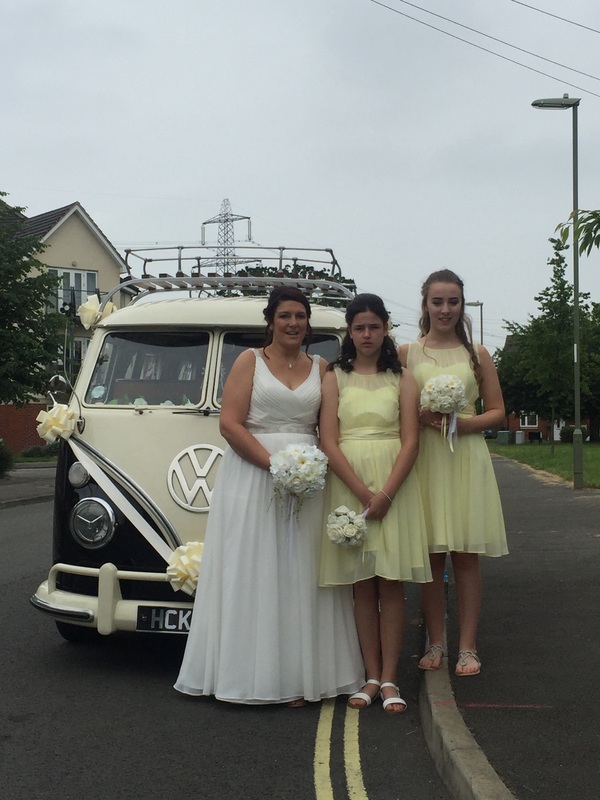 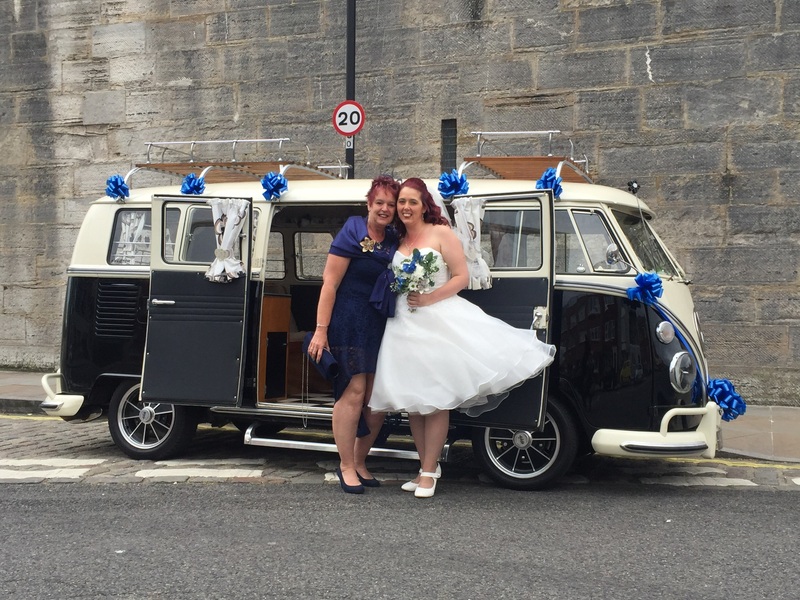 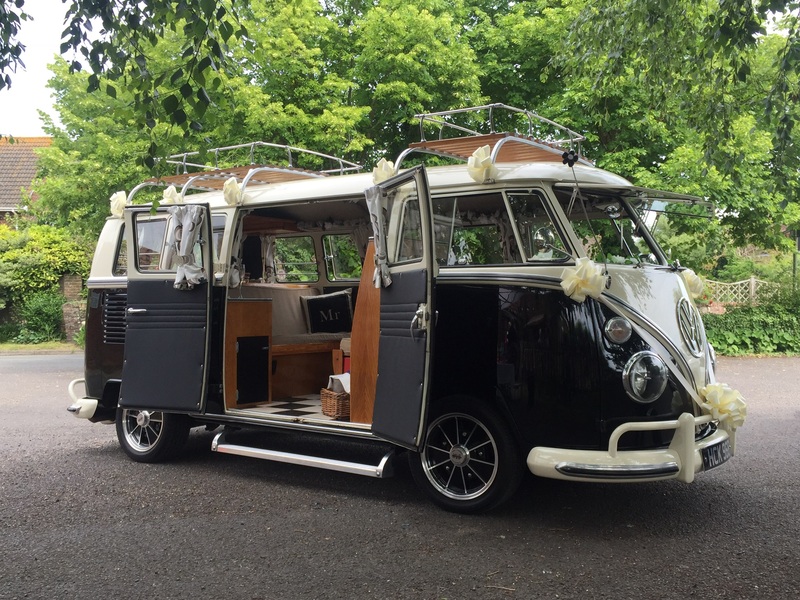 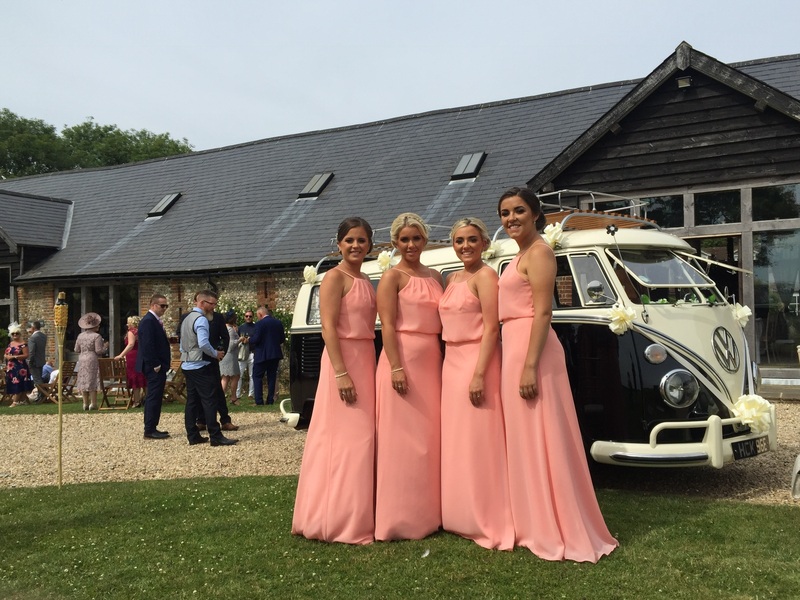 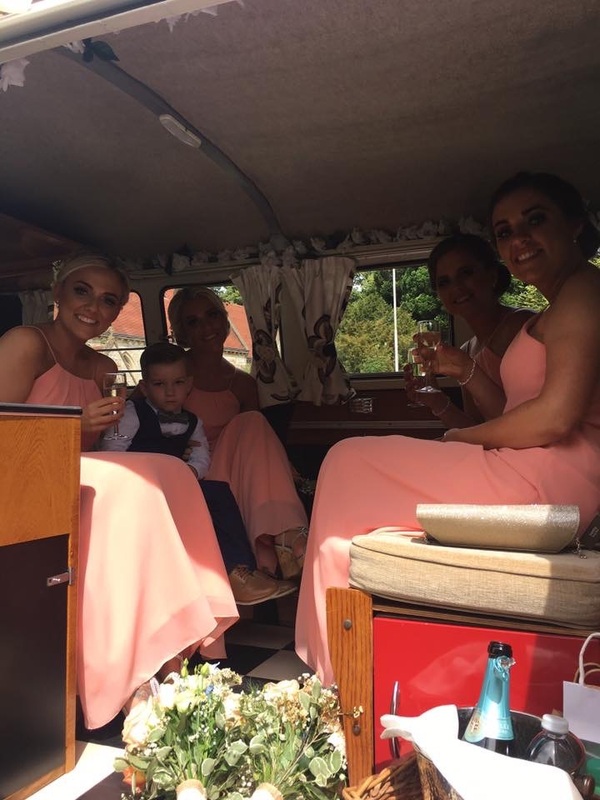 Our 1st pick up was for the bridesmaids from Hedge End before hot footing it back for the bride, her mum and her brother. 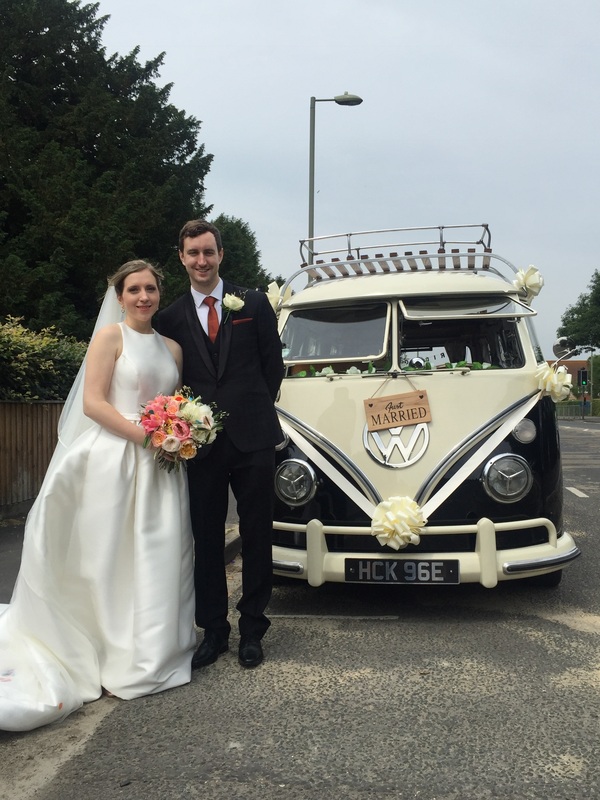 As per our normal service we then waited for the ceremony to finish so photos could be taken.